Notice the custom Dan Tag Graphics on my Tom Groholski board. 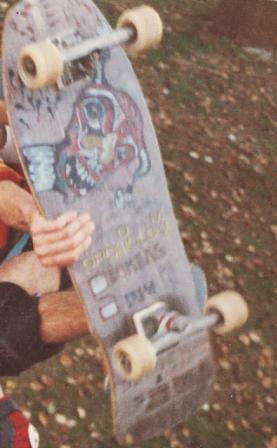 This entry was posted in 1987, Froncek's Ramp, Jason oliva, SPOTS:, TEAM STEAM and tagged ART, backyard ramps, bam, boards, east coast, Friday the 13th, froncek, house of steam, jason, Jason oliva, jasonoliva, New Jersey, New York City, NYC, oliva, paintings, photography, pool Skating, ramp, ride, sk8, sk8t, skate, skate decks, skate history, skate photography, Skate ramps, skate trucks, skate wheels, skateboarding, skateboarding history, skateboarding photography, skateboards, skatepark, skater, SKATERS, steam, Street Skating, TEAM STEAM, The Barn, The House of Steam, thos, vert, vert ramps, Vert Skating on February 13, 2009 by jasonoliva. This ad ruled, the photo, the place, the quotes, everything. 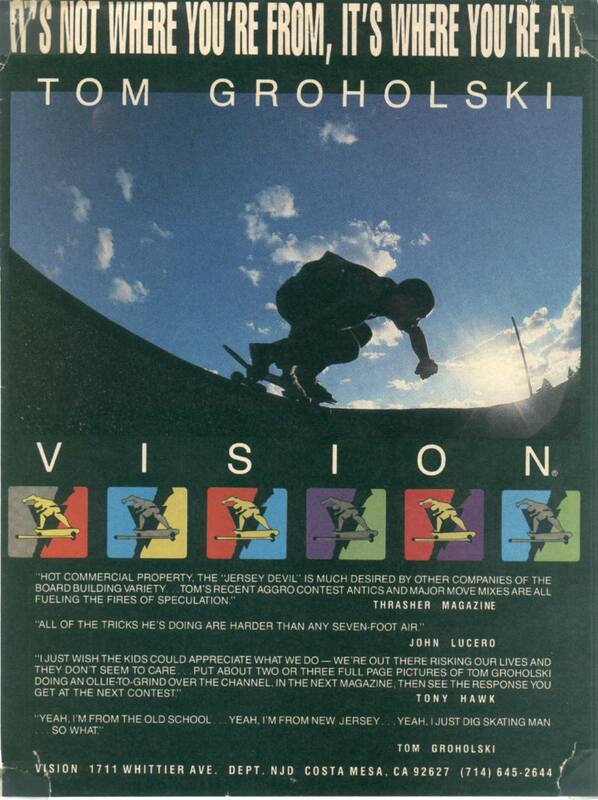 I bought 3 of these Tommy G Hurricane graphic decks when they came out. First thing I did was turpentine the graphics off and hand em over to Dan Tag for some proper ART-STEAMIFICATION and rode em all into the 90’s. They where kinda flat but a cool size for the little guys like me. How to properly Steam-up a Tommy G Deck. aphics but leave the man’s name on the Board! Respect! 2. Get Dan Tag to draw on it. 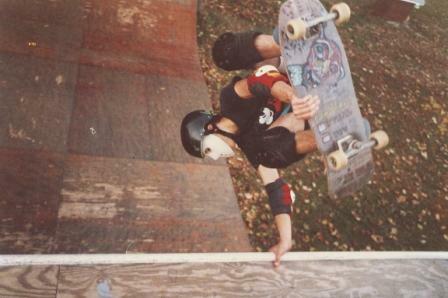 This entry was posted in 1989, Dan Tag, Froncek's Ramp, Jason oliva, John Lucero, Photos by Glen E. Friedman, Reading Skate park, TEAM STEAM, Tom Groholski, Tony Hawk and tagged ART, backyard ramps, boards, east coast, house of steam, jason, Jason oliva, jasonoliva, New Jersey, New York City, oliva, paintings, photography, pool Skating, ramp, ride, sk8, sk8t, skate, skate decks, skate history, skate photography, Skate ramps, skate trucks, skate wheels, skateboarding, skateboarding history, skateboarding photography, skateboards, skatepark, skater, SKATERS, steam, Street Skating, TEAM STEAM, The Barn, The House of Steam, thos, Tom Groholski, vert, vert ramps, Vert Skating on October 10, 2007 by jasonoliva. Many a good time was had by all! This entry was posted in 1987, DJ KING WEEP, DJ VertOne, four 4, Froncek's Ramp, Greg Taylor, Photos by Kevin McDowall, Rocky Vertone, SKATE PARKS:, SPOTS:, TEAM STEAM, Weeps and tagged ART, backyard ramps, east coast, froncek, jason, Jason oliva, jasonoliva, New Jersey, New York City, oliva, paintings, photography, pool Skating, ramp, ride, sk8, sk8t, skate, skate history, skate photography, Skate ramps, skateboarding, skateboarding history, skateboarding photography, skateboards, skatepark, skater, SKATERS, steam, Street Skating, TEAM STEAM, The Barn, The House of Steam, thos, vert, vert ramps, Vert Skating, weep.dj king weep. chris blank on November 25, 2006 by jasonoliva. 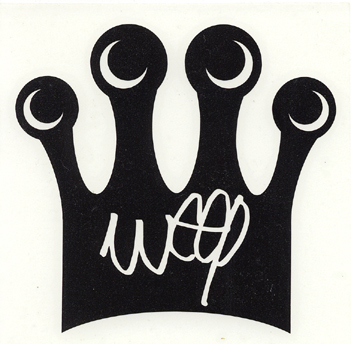 73: The House of WEEP: I am biased but this is one of my favorite Weep photos. So I am biased about this photo since that is me (Jason Oliva) pointing defiantly at the camera (Kevins Father’s old school SLR) This was during the “You don’t even know” years. I am not sure who said those words first (I’ll guess Jay Henry) but it was quite a catch phrase for the time. It was eventually spray painted on the outside of the Barn during its last days. 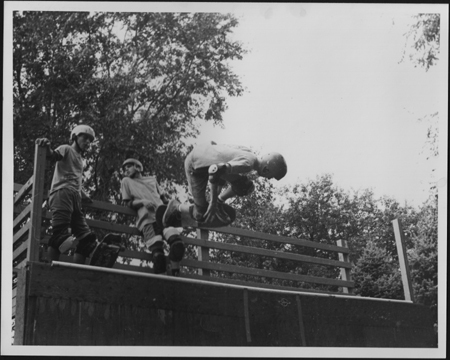 This entry was posted in 1987, DJ KING WEEP, four 4, Froncek's Ramp, Jason oliva, Photos by Kevin McDowall, SPOTS:, TEAM STEAM, Weeps and tagged ART, backyard ramps, chris blank, DJ KING WEEP, east coast, jason, Jason oliva, jasonoliva, New Jersey, New York City, oliva, paintings, photography, pool Skating, ramp, ride, sk8, sk8t, skate, skate history, skate photography, Skate ramps, skateboarding, skateboarding history, skateboarding photography, skateboards, skatepark, skater, SKATERS, steam, Street Skating, TEAM STEAM, The Barn, The House of Steam, thos, vert, vert ramps, Vert Skating, Weep on November 21, 2006 by jasonoliva. I think Mike Pruskowski took this photo…Corn seemed to be only taking Black n White at the time. Rocky and I did this a handful of times on this day and pulled it everytime….we never did it again. 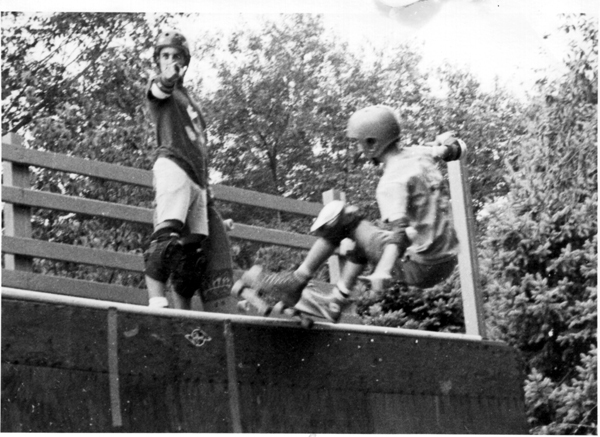 This entry was posted in 1987, Froncek's Ramp, Jason oliva, Rocky Vertone, SPOTS:, TEAM STEAM and tagged 1. [SKATERS A,B,C], ART, backyard ramps, barn, dj vert-one, Froncek's Ramp, house of steam, jason, Jason oliva, jasonoliva, mark froncek, New Jersey, oliva, paintings, ramp, ride, Rocky Vertone, sk8, skate, Skate ramps, skateboards, skatepark, skater, steam, Street Skating, TEAM STEAM, The Barn, The House of Steam, thos, vert, Vert Skating on September 11, 2006 by jasonoliva.